#99115 at North Freedom, August 2001. 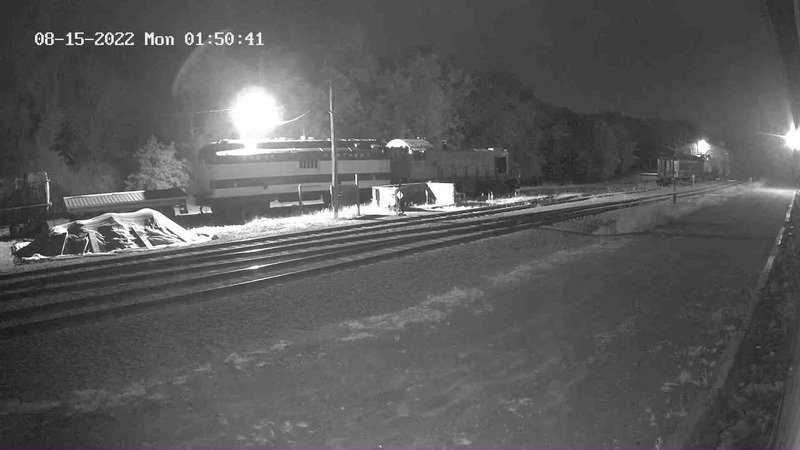 Soo Line (Wisconsin Central) #99115 is a legacy from an era of rapid growth for the railroad. 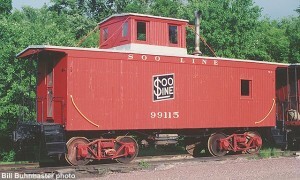 During a portion of this period, the Soo Line greatly expanded its caboose fleet and shared a single caboose design with its leased subsidiary, the Wisconsin Central. 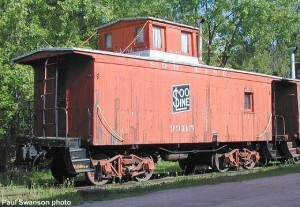 Between 1906 and 1913, 115 of these cabooses were built by the American Car & Foundry Co. Also in 1913, the Soo Line constructed nine additional cabooses at its Shoreham Shops, bringing the total complement of cabooses built to the design to 124. #99115 was delivered in a group of 35 cars built by AC&F in August 1911. 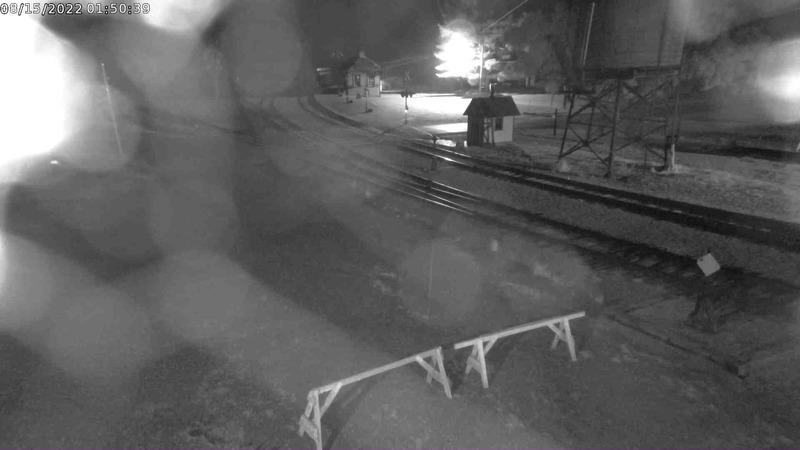 Twenty cars of this order were assigned to the Soo leased Wisconsin Central and included numbers 99097 through 99116. All of these cabooses were originally built with a wood underframe and truss rods. The most unusual feature was the single window concept employed on one side of the main body. The interior arrangement of the caboose did not lend itself to additional windows on this side. Between 1924 and 1928 new steel center sills were applied to these cabooses at the Shoreham Shops. However, the truss rods were retained. Also at Shoreham and starting around this same period, the Soo Line applied a new cupola design to these cars on an as needed basis. The new cupola was built with a random variation consisting of either one or two windows on the side. #99115 has the two-window variation, while sister car #203 has the single window configuration. #99115 spent the majority of its life at Schiller Park, Illinois, and its last assignments were on the morning Line Run job and the late evening Indiana Harbor Belt transfer. The car was retired on January 26, 1967, privately purchased from the Soo Line, and moved to North Freedom in 1969. It is presently restored to its mid 1950’s paint and lettering scheme and used for bunk facilities.